Construction at Yokosuka Harbor in Kanagawa Prefecture. 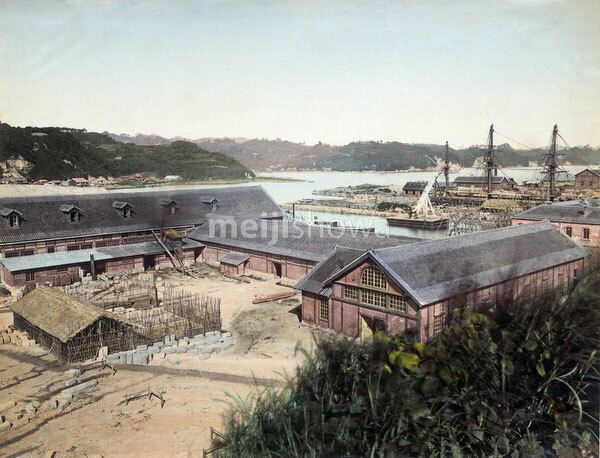 During the 1860s and 1870s, the small village of Yokosuka was developed as a modern naval base by French engineer François　Léonce Verny (フランソワ・レオンス・ヴェルニー, 1837–1908). Yokosuka Naval Arsenal became the first modern arsenal in Japan. Today, it houses the United States Seventh Fleet and a base of the Japan Maritime Self-Defense Force.